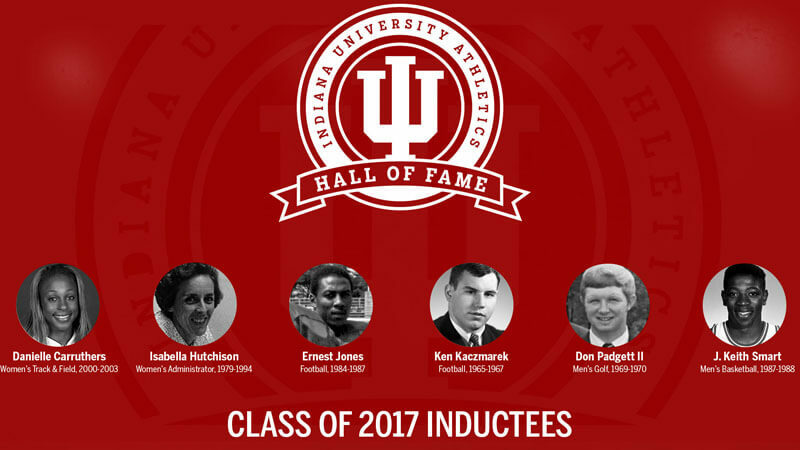 IU Athletics announced six inductees for the 2017 Hall of Fame class on Wednesday, highlighted by former basketball standout Keith Smart. Joining Smart in the 2017 Hall of Fame class are Danielle Carruthers (Women’s Track & Field, 2000-2003), Isabella Hutchison (Women’s Administrator, 1979-1994), Ernest Jones (Football 1984-1987), Ken Kaczmarek (Football, 1965-1967) and Don Padgett II (Men’s Golf, 1969-1971). The class will be inducted on Friday, Nov. 3 and also honored at halftime of the Indiana-Wisconsin football game at Memorial Stadium on Saturday, Nov. 4. Smart, who played at IU from 1986-88, hit the game winning shot in IU’s 74-73 national championship win over Syracuse in 1987. The 53-year old native of Baton Rouge, Louisiana, is currently on the Memphis Grizzlies coaching staff. He previously served as the head coach of the Cleveland Cavaliers, Golden State Warriors and the Sacramento Kings. Who is Keith Smart? What did he ever do? Honestly though, that is the first time I’ve ever seen his name as “J. Keith Smart”. Did not know that. I thought his first name was Ice Cold. admittedly i only know one of the names on the list but congrats to all. i still remember exactly where i was and how darn good it felt when KS hit that shot. was truly a ‘shining moment’ for me. for the record, i was laying on the floor of my living room, decked out in shag carpet and fake wood paneling, right in front of the tv, which was encased in a big wooden cabinet, devoid of remote control. my old man was there too, sitting behind me our floral print sofa, Milwaukee’s Best in hand. we were both shouting uncontrollably when that shot went down. thank you KS for that great memory.